The Kharijites or Khwarij founded themselves in a middle of a civil war resulting from a murder and a longtime controversy regarding the leadership of the fast growing Islam. The 3rd Caliph of the Rashidun Caliphate Uthman was murdered by an angry mob. 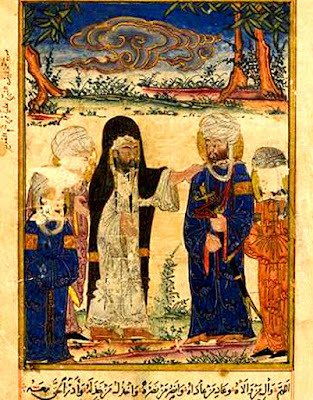 His successor, Ali ibn Abi Talib, a relative of the Prophet of Islam Mohammed, hesitated to deliver justice for the fact the murderers supported his candidacy as Caliph. Eventually, the absence of justice for Caliph Uthman led to rebellions and eventually civil war with the most prominent being Muawiya Abu Suffyan, a relative of the slain Caliph Uthman and head of the Umayya Clan. In July of 657, Ali and Muawiya fought in the inconclusive Battle of Siffin in the banks of the Euphrates River. Ali, agreed to an arbitration to end the dispute. The decision of Ali to submit to an arbitration by a council of men infuriated a faction within his party the Shia’t Ali (Party of Ali) or simply Shia. This faction believed from the passage “judgment belongs to Allah alone” coming from 6:57, 12:40, and 12:67 of the Quran. Soon the passage became the faction’s battle cry. They believed that Allah’s judgment on who had rights to be Caliph would manifest from a victory in a battle mirroring another passage from the Quran 49:9 saying “If one party rebels against the other, fight against that which rebels.” Submitting to a Council objected this and they decided to leave the Shia. This faction became known as the Kharijites from the Arabic word Kharaju meaning those who walk out. But the Kharijites called themselves al-Shurat or the Exchangers who ardently believing of exchanging their lives for the preservation of the pure Islam. This faction led by Abdullah ibn Wahb fled Kufa, Ali’s capital, for the town of Harura and later Nahrawan, a vital city lying in the Tigris River. The number of the Kharijites increased as the arbitration held in 659 failed to declare Ali as Caliph and rather condemned his inaction in dispensing justice. The Kharijites grew in numbers as well as in notoriety. They developed an extremist view perceiving all Muslims following Ali and Muawiya as heretics, thus becoming a 3rd belligerent in the First Fitna or civil war. Their view of non-Kharajite Muslims as heretics led to their violence and use of terrorism within the Caliphate. They killed and pillaged villages and harassed the countryside. Their violence forced Ali to mobilize against the Kharijites in 659 reaching the climax in the Battle of Nahrawan. In the battle many of the Kharijites fell in battle along with their first leader Abdullah Ibn Wahb. This weakened the organization driving it underground. Nonetheless, as the surviving members reeled from their defeat, their zeal remained as strong as before. In 661, the remaining Kharijites plotted an ambitious simultaneous assassination of 3 very important Muslims – Muawiya, Ali, and the Governor of Egypt Amr ibn al-As, who many Muslims blamed for the failure of the arbitration and the conclusion of the conflict. 3 Kharijites positioned to carry out the plot: Amr ibn Bakar would kill Amr ibn al-As; Barq ibn Abdullah would kill Muawiya; and Abd-al-Rahman ibn Muljam al-Sarimi would kill Ali. The plotters chose January 20, 661 as the day to carry out their assassination. In the end, the plotters wounded but failed to kill Amr ibn al-As and totally failed to hit Muawiya. Abd-al-Rahman succeeded in mortally wounding Ali who passed away from his wounds days later. The assassination led to the rise of the Umayyad Caliphate and it also displayed the continuing presence of the Kharijites. Kharijites persisted even after the end of the First Fitna. They developed into a community promoting democratic, egalitarian, as well as puritanical Islamic community. As before, they continued to believe Allah’s judgment to be the highest and absolute. In leadership, they believed anyone, even a slave of any color, had the chance of becoming the Imam or leader as long as he shows upright morality and strong piety. This opposed to the selective process of the Shias who believed the leadership coming from the relatives of Mohammed or the Sunnis who placed their faith in any leader coming from the tribe of the Prophet – the Quaraysh. This led to the rise of their membership, especially from non-Arab Muslims who suffered from discrimination. Although the Kharijites showed freedom in qualification, they imposed, however, strict rules for an Imam to follow. An Imam must remain good and immaculate of any sins. Failure gave the Kharijites the obligation to revolt and kill the ruling Imam. The Kharijites believed themselves to be the perfect and good society of Islam, different from what they perceived as the corrupted society of the Sunnis and Shias. Their vision meant, however, strict puritanical rules. Any commitment of major sins equaled to an act of apostasy, therefore death to the committer. And those major sins numbered tremendously, intermarriage and music and games without the consent of wives constituted a sin. They followed a literal interpretation of Quran making the Kharijites the early version of Islamic fundamentalist. Views, however, differed even within the Kharijite community. Moderates who relax in some of their puritanical beliefs emerged and even prospered. Among these moderates included the Ibadiya Kharijite sect. They tolerated other religions, especially religions of the people of the book which included Jews and Christians. They survived even to the modern age flourishing in Northern Africa, Zanzibar, and Oman where they constituted as a major sect in that country. But other sects zealously followed their beliefs and viewed sinners along with their family must be killed. This sect known as the Azariqa emerged as a powerful rebel group in Southern Iraq and Western Iran in 690’s during the Second Fitna that lasted from 680 to 692. The Azariqa led by Qatari ibn Fuja’a rebelled against the Umayyads in 689 centering in southern and eastern Iraq becoming a thorn for the Umayyad leadership for over the next decade. In 694, Qatari raised the stakes by calling himself the Amir al-Mu’minin or Commander of the Faithful, a title reserved only to a Caliph. In 695, another Kharijite group led by Shabib bin Yazid rebelled in Northern Iraq. Both rebellions though faced a tough opponent in form of the Umayyad governor of Iraq al-Hajjaj Bin Yusuf. A ruthless commander al-Hajjaj said in his arrival speech in Kufa, “Oh, people of Iraq! I see among you heads ripe for harvest. The time of harvest has arrived and I am the harvester. Blood will soon flow below the turbans and above the beards.” He along with his lieutenant al-Muhallab ibn Abi Sufra quelled the rebellion gradually and brutally. The Azariqa faced internal strife between Arabs and non-Arabs weakening the sect. Qatari eventually fell in an ambush in 697 or 698 while the Azariqa outlived him only for a year when they faced annihilation. Shabib bin Yazid’s Kharijite rebellion, meanwhile, fared no better and in 697 suffered a defeat. The rebellion ended with Shabib’s drowning during their retreat. Kharijites continued to be a source of rebellion for the Umayyad as well as Abbasid Caliphates. Eventually, the moderate Ibadiya sect remained to be largest surviving sect of the Kharijites today. Kharijites are a sect marginalized in the mainstream divide of Islam. Nonetheless, their actions reverberated in Islamic history. Their zeal led to the end of the Rashidun Caliphate and the rise of the Umayyad. They rebelled the Umayyad and the succeeding Abbasid Caliphate challenging their style of choosing a leader and preferring an egalitarian way disregarding once background in favor of morals and faith. But they mirrored the extremist today with their puritanical view of Islam that drove them to fight and become an influential sect in Islamic history. What Happened in the First Fitna? Brown, Daniel. A New Introduction to Islam. Hoboken, New Jersey: John Wiley & Sons, Inc., 2017. Daryaee, Touraj (ed.). The Oxford Handbook of Iranian History. New York, New York: Oxford University Press, Inc., 2012. Hawting, G.R. 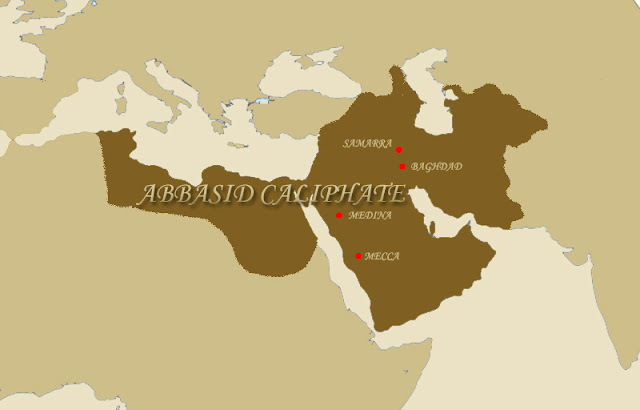 The First Dynasty of Islam: The Umayyad Caliphate, AD 661-750. New York, New York: Routledge, 2000. 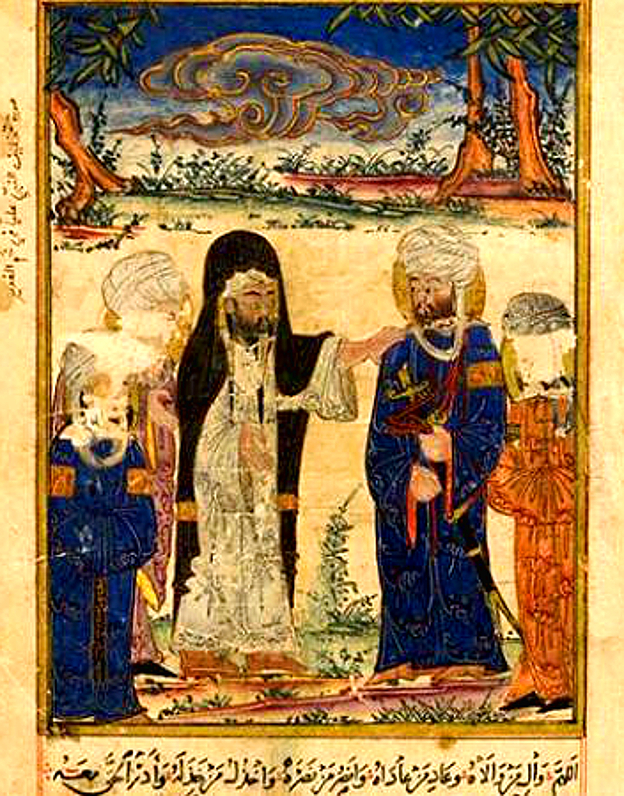 "Hajjaj bin Yusuf, Al-." In Historical Dictionary of Iraq. Edited by Beth Dougherty and Edmund Ghareeb. Lanham, Maryland: Scarecrow Press, Inc., 2013. Kenney, Jeffrey. "Khawarij (Kharijites)." In Encyclopedia of Islam. Edited by Juan Campo. New York, New York: Facts on File, Inc., 2009. Waskey, Andrew. "Kharijites." In Conflict and Conquest in the Islamic World: A Historical Encyclopedia. Edited by Alexander Mikaberidze. Santa Barbara, California: ABC-CLIO, LLC, 2011. "Kharijites." In the New Encyclopedia of Islam. Edited by Cyril Glasse and Huston Smith. Walnut Creek, California: AltaMira Press, 2002.